If you love sending it down the trail, smashing through rock gardens, launching off drops and jumps, and carving through singletrack at ungodly speeds, youll feel right at home aboard the S-Works Enduro 650b. We gave it a geometry that features a slacker front end, a longer top tube, short chainstays, and a lower bottom bracket. All of this together makes the bike truly feel glued to the ground, and the platform is more responsive and capable then ever. We even added some bits, like integrated storage with a SWAT™ Door at the down tube, and made old new again by making a triumphant return to a threaded bottom bracket. To keep the weight down, the frame is constructed from our top-tier FACT IS-X 11m carbon fibre. And to ensure top-level performance on the descents, this material choice is greeted by 170mm of plush rear and 170mm front travel, plus a geometry that can be adjusted via a shock extension with a low/high setting. The frames FACT IS-X 11m carbon fibre construction stands as the pinnacle of lightweight, efficient, and tough trail performance. Its been built off our 650b Geometry in order to provide an aggressive, well-rounded ride. And with internal Command Post IR routing, a return to a threaded bottom bracket, and an integrated SWAT™ Door at the down tube, you get a bike thats clean, dependable, and ready for anything that the trail has to offer. The one-by drivetrain is controlled by SRAMs venerable XX1 Eagle components. The system forms the ultimate in efficiency and intuitive feel, while also having the added benefit of significant weight savings and minimal required maintenance. 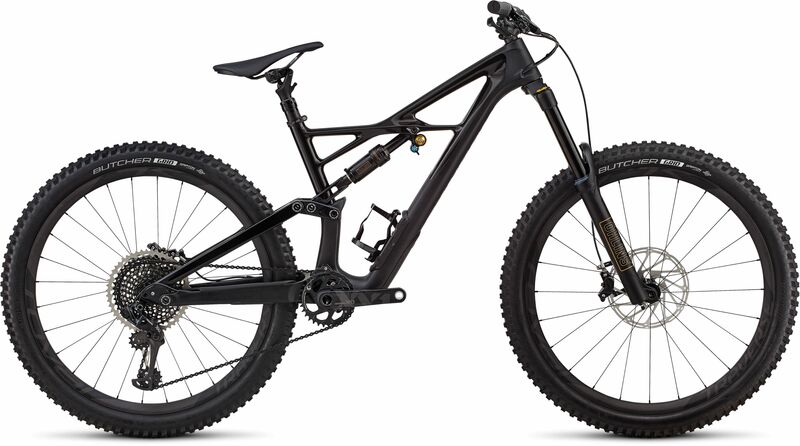 Please see below for delivery options for Specialized S-works Enduro 650b Mountain Bike Medium 2018.